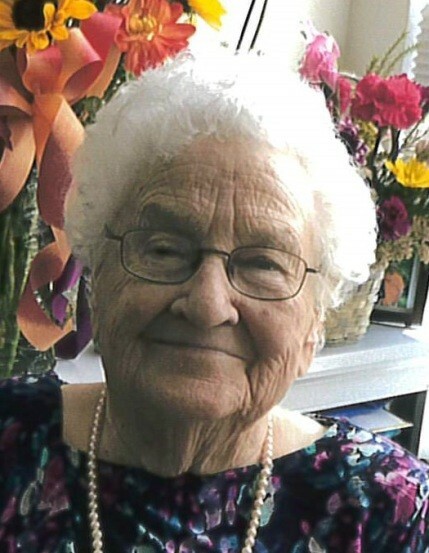 Pearl Marion Preuss, age 91 of Montello passed away peacefully on Thursday, November 22, 2018 at Tivoli in Portage. Pearl was born at home in Crystal Lake Township, Marquette County to William and Clara (Kemnitz) Brose on September 19, 1927. She married Loyd Preuss at the Budsin Lutheran Church in Crystal Lake Township on November 4, 1945. Pearl enjoyed gardening especially her flowers, watching and feeding the birds, cooking and rural farm life, but most of all she loved spending time with her family. Pearl is survived by her two daughters: Shirley (Bob) Mast of Dalton and Joyce (Ron) Sell of Montello and five grandchildren: Marci (Dean) Free, Jeff (Meredith) Mast, Jon (Kimberly) Mast, Chad (Stephanie) Sell and Lora (Ron) Urbaniak. She is also survived by seventeen great-grandchildren: Brandon (Melissa), Courtney, Jacob and Joseph Free; Nathan, Nicholas, Lucas and Joshua Mast; Alexis, Noah, Gracie, Ryan and Tyler Mast; Dalton and Colton Sell and Emmersyn and Addisyn Urbaniak as well as special family friends, Don and Barb Gutenberger, other relatives and friends. Pearl is preceded in death by her parents, husband, Loyd in 1986 and sisters: Bernice Wachholz and Mildred Otto. A funeral service for Pearl Preuss will be held on Friday, November 30, 2018 at 11:00 AM at the Buffalo Community Bible Church, W4090 14th Road, Montello, WI 53949. Visitation will be held from 10:00 AM until the hour of service. Pastor Ben Larson will preside and burial will follow at Underhill Cemetery, town of Packwaukee. The family would like to express their appreciation and gratitude to her Tivoli Family for the compassionate care given to Pearl while residing there the past four and half years. Special thanks to Dr. Blohm, Mike, Hailey, Kay as well as the activities department and Karen S.
Until we meet again—forever in our hearts and forever loved.